Have you got any unwanted tools? 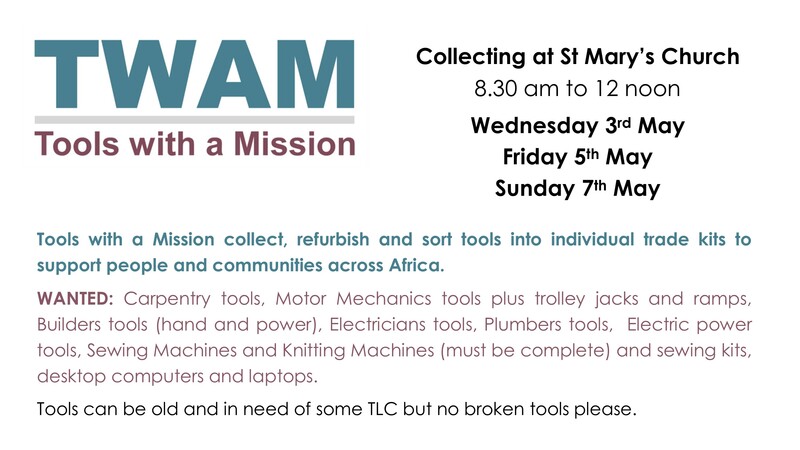 We are collecting tools for Africa next week – both hand and power tools but not gardening tools. They can be old and in need of some TLC but no broken ones please. Church will be open in the mornings on Wednesday 3rd, Friday 5th and Sunday 7th May. (Please come after 9am unless you are a parent at the Coppice, as the site is extremely busy before that.) If you have tools but would need someone to collect them please let us know and we will try to arrange this. Thank you for your support.